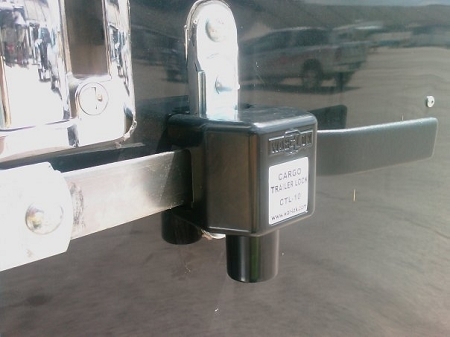 The CTL-10 barrier box with a reusable, removable, keyed locking device that fits securely on most cargo trailers with a rear and side door latch mechanisms with 1 and 1.25 inch latch bars. 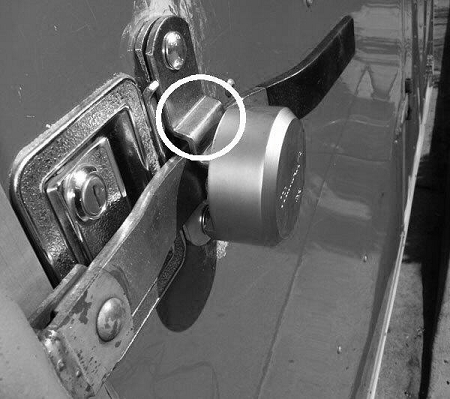 Once in place, the locking mechanism of the CTL-10 and the cargo latch are completely protected. The War-Lok CTL-10 is made of die cast zinc, making it corrosion resistant. All other parts are either brass or stainless steel making them also corrosion resistant. The CTL-10 is a cost-effective solution. Not to mention, simple, robust, and reusable. 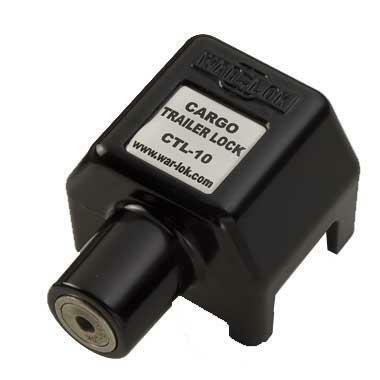 The CTL-10 comes standard in powder-coated black for color. These units come as a single lock, 2 locks keyed the same, or more locks keyed the same.